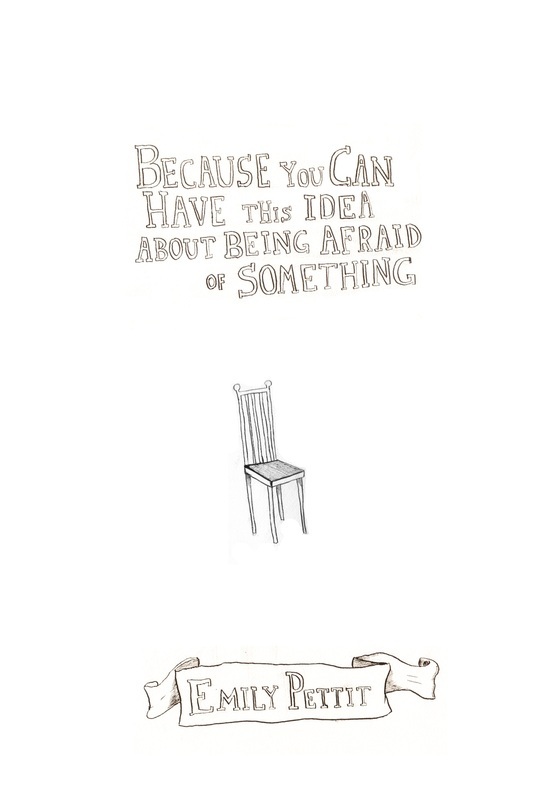 I was luck enough to get to illustrate Emily Pettit's chapbook BECAUSE YOU CAN HAVE THIS IDEA ABOUT BEING AFRAID OF SOMETHING, just out from Dikembe Press! It's a very limited edition so get it now! "What do you believe to be important / points of convergence?"